2. 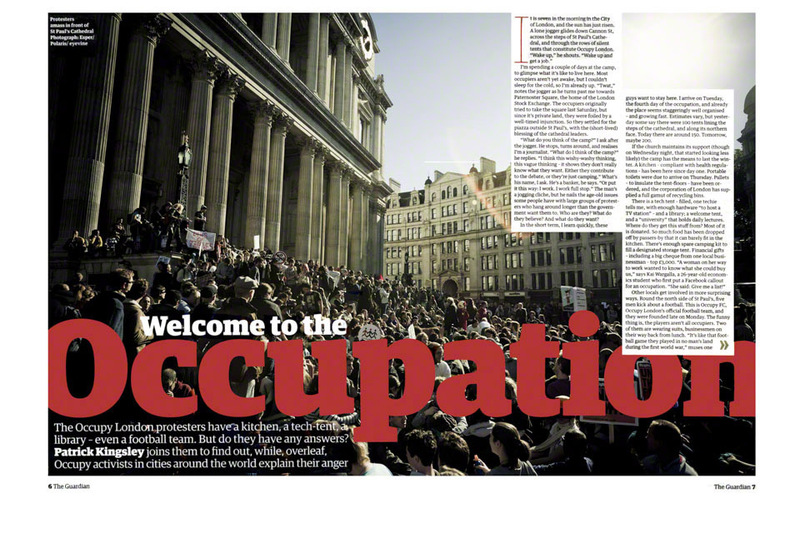 Double spread photo inside The Guardian G2 Magazine article ‘Welcome to the Occupation’ (the same photo was also included in The Guardian Magazine’s ‘2011. 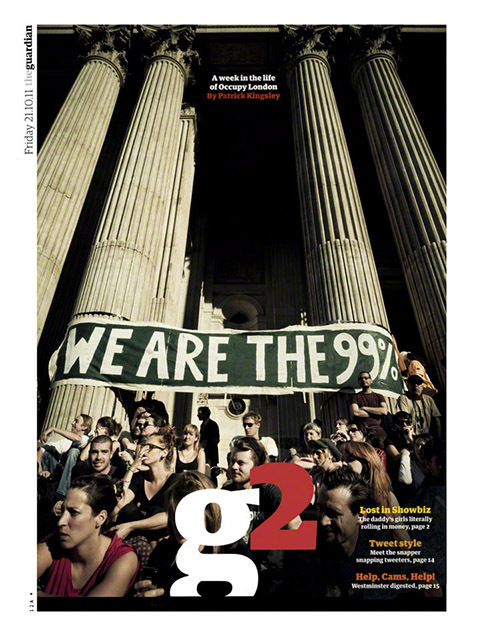 The Year in Words and Pictures’ edition).